As part of adopting a greener lifestyle, one of the most important changes you can make is they type of car that you own and drive. Although the greenest motoring option would be to ditch the car altogether, it’s not always a practical solution, especially if you live out of town and don’t have great public transport links. But there are ways to make your driving more eco-friendly. For example, you could choose to drive one of the many cars that come with stop-start technology, otherwise known as stop and go, or start-stop systems. 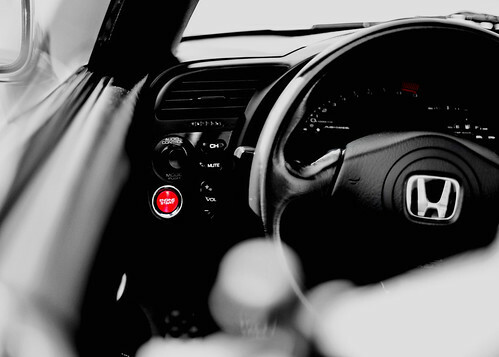 Stop-start technology allows for the engine to switch off automatically during a period of idling – for example at traffic lights or in a traffic jam. The engine cuts out when the vehicle is stationary, and then switches on automatically when the driver releases the brake pedal. The restart is almost imperceptible to the driver and passengers. Hybrids come with stop-start technology as standard, but conventional cars can also have the same technology. Those that do are sometimes called microhybrids, and the technology can improve their fuel economy by 10%. The restart on a standard petrol engine is slightly more noticeable, but it’s still very subtle. While it has been relatively cheap for manufacturers to incorporate stop-start technology in new cars in comparison with the cost of dual-propulsion hybrids, it hasn’t been straightforward. The biggest challenge has been in putting the technology into standard cars with small 12-volt batteries because when the engine is turned off, there is a big drain on the batteries to maintain systems like air-conditioning during an idling period. The stop-start system can also be used on 4×4 cars – Toyota and Volkswagen and Landrover all have 4×4 models with the technology. Of course, the two major benefits of stop-start system is the improved fuel economy and the reduction in carbon dioxide emissions. So, even if you’re not quite ready to buy a hybrid, making sure your car has stop-start technology is one way of making a positive choice for the environment.